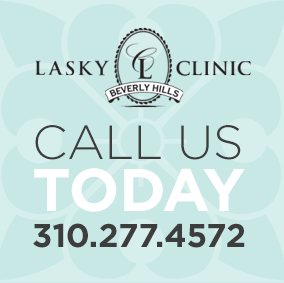 If you’ve recently had a procedure performed at the Lasky Surgical Center, please feel free to leave your feedback in the testimonial form below. We appreciate the feedback & take each point made seriously. Also, you can read the testimonials of all our satisfied patients. I just want to thank you for being so kind and attentive to (patient name), and I. You made her feel so comfortable and her first experience was made easy because of your patience. I am sure she will be a patient for life. You have always gone that extra for me and I just want you to know how much I appreciate everything. We are both so happy with the results and although we may not be the easiest, we are the most grateful. Many thanks to you and your exemplary work. Not only have I a more youthful face, but I have my face back and therefore my life! The surgical skills of Dr. Stevens are superior. I could not be happier. I am only 45 years old, but needed to have both a facelift and my eyes done. I was extremely concerned about what I would look like afterward, as I did not want any one to know that I had had surgery, and didn’t want to look like I had work done. I am told on a regular basis how fantastic I look by my colleagues, and as they cannot tell I have had anything done, I am proud to refer them to Dr. Stevens. My features have not changed, I simply look rested and great. I cannot thank you enough, Dr. Stevens. I refer every one to you. You guys are true professionals and it was great to be back for the best in medicine. We have many choices in Dallas but I am sure none of them come close to Dr. Stevens..
My experience was good from beginning to end. Your wonderful staff were welcoming and I enjoyed every visit. I had great confidence in Dr Stevens and I am beyond thrilled with the results. I really wanted you to know how appreciative and grateful I am every day of my life for the excellent job of surgery you did on me. I truly don’t know how any doctor, anywhere could possibly have done a better job than you did. I also appreciate your patience and kindness towards me. I simply could not have asked for a better doctor. I am more that thrilled with the results. It truly came out better than I ever thought. You are the best!! Thank you from the bottom of my heart forever! Thanx so much for being such a wonderful doctor & taking such good card of me! Thank you for everything! I am so pleased. I am writing to make an appointment to see you again. After having you as my doctor, I wouldn’t think of seeing anyone else, especially after your amazing transformation. I love it! When I went to see my dentist he said there’s Miss America sitting here. That’s exactly how I felt! Everyone was great and I am so happy with results. It was my first surgery and I couldn’t be more pleased. You were highly recommended, praise that is well deserved. I was anxious and fearful in the days prior to surgery but the entire procedure, from check-in to release to recorvery, was better than I could have imagined. It has been three weeks and I can’t tell you how happy I am with the results. Thank you for taking such good care of me. Your kindness was so much appreciated. You rock! I like my body more today, than when I was on my high school swim team. I feel as though I’ve finally been rewarded for all the hours I’ve put in. You are a truly skillful attentive doctor, and a great sculptor. Your voice is going to add so much distinguished authority and yield a lot of fascinating information to the show. Thank you for making this such an easy and pleasant process! I promise, no more broken noses!!! Words cannot express how much gratitude I have for you. Thank you for all you did to enable me to breathe again. I appreciate the time and effort you put into my surgery. I am extremely pleased with the results and could not have asked for anything more. I really appreciate the honest concern and well-being you show your patients. It would seem as though your vision of the ideal nose for my face paralleled precisely my own thoughts. I am very satisfied with the end result and am quite pleased I found in you a surgeon posessing the skills to bring forth that vision. I walk around all day singing your praises and thanking the heavens above for all you’ve done for me. I couldn’t be more pleased with the results. Thank you, thank you, thank you for taking 10 years off my face and putting it into my spirit! I wanted to thank you for all that you’ve done for me! Everything turned out better than I imagined! I’m sure I’ll get quite a few stairs with my new look, and I owe it all to you. I couldn’t be happier with the results, they just turned out perfect. Thanks so much! One day when I’m old and gray some hot-shot young Beverly Hills plastic surgeon will come up to me at a party and say,’I recognize your nose, it’s a Frankel original–it fits your face perfectly and doesn’t look fake’. thank you again. Dr. Frankel is the best Dr. I have ever had. He should be a very happy man , since happiness comes from doing the best you can. Dr. Frankel is a real class act!